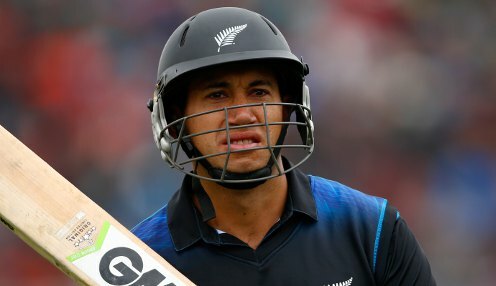 Ross Taylor has joined Middlesex in an early-season white-ball deal and will play in five of the club's Royal London One-Day Cup matches. The 35-year-old recently became New Zealand's leading run scorer in one-day internationals and will use a county stint with Dawid Malan's team as preparation for this summer's World Cup. Taylor will make his debut for Middlesex against Surrey at The Oval on 25th April and will be available to play in the final five group games of the tournament plus the semi-finals during the second week of May. However, he would not be available for the final due to international commitments. Of the former Nottinghamshire and Sussex batsman, Angus Fraser, the club's managing director, said: "The pre-World Cup schedules of England and Ireland mean that Middlesex will be without Eoin Morgan and Paul Stirling for more than half of the Royal London One-Day Cup. "Eoin and Paul are outstanding one-day cricketers and we were keen to strengthen our resources on the back of their absence during the second half of the tournament. "To have the opportunity to fill these gaps with a player of Ross' undoubted class is a real treat for the club. He is an outstanding cricketer and a cracking man, and we look forward to welcoming him to Lord's in a couple of weeks time." Taylor will arrive in the UK in magnificent form after a superb 14 months of one-day internationals in which he struck 1063 of his 8026 career runs at an average in the high 90s. Middlesex are 11/1 to win the Royal London One Day Cup this year while New Zealand can be backed at 10/1 to emerge victorious at the World Cup.